UPM Raflatac has launched its RafCycle recycling solution in China. 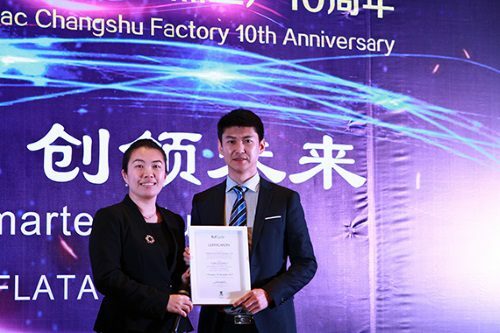 The first RafCycle partner certificate in China was awarded to Hangzhou Changli, which is a label converter established in 2010. Hangzhou Changli is also the 100th RafCycle partner globally. The number of RafCycle partners has grown increasingly over the years as sustainability has become one of the key drivers in the labeling industry. Today more than 10,000 tons of label liner waste is being recycled in Europe through the RafCycle program. RafCycle is an innovative recycling concept that offers a new life for label liner waste which benefits the printers, packers, brand-owners, and the environment. Turning waste into a resource is a key concept in the circular economy and an important part of our approach to sustainability.